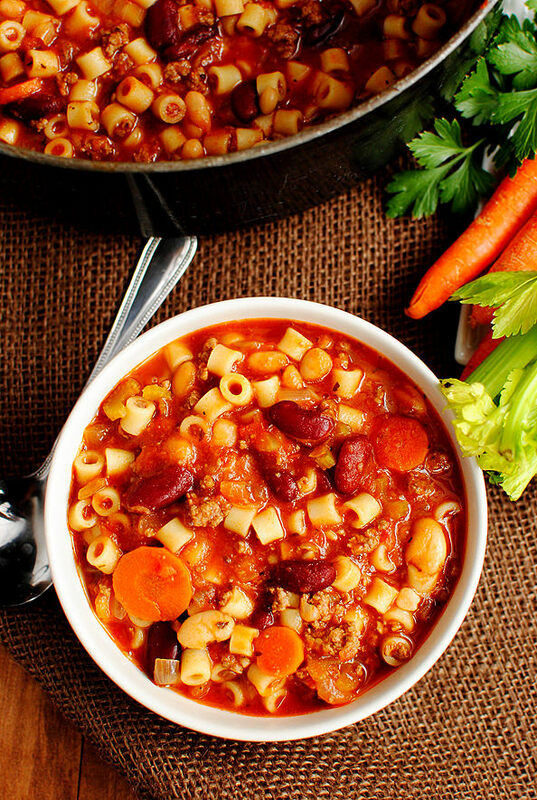 Copycat Olive Garden Pasta e Fagioli Soup is hearty, filling, and tastes just like Olive Garden’s Pasta e Fagioli Soup. Easily made gluten-free, too! Turns out I left Napa on Sunday with more than a new appreciation for the phrase meth teeth – a nasty head-cold! A friend on the trip got one a few days prior to heading out there and, despite our best efforts to avoid cross contamination, as of Monday I had officially traded wine, cheese, and sushi – for juice, Nyquil, and tissues. 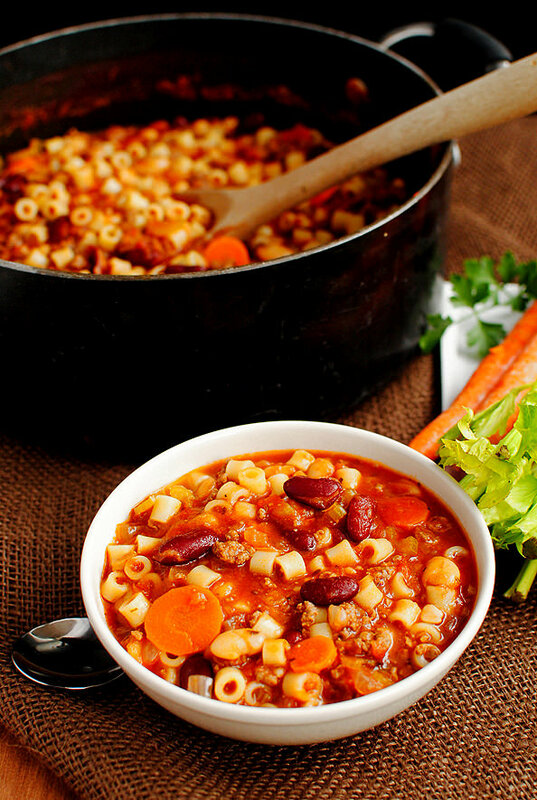 To me there’s nothing more satisfying than a hot bowl of soup when I’m sick, so I immediately made a big pot of Copycat Olive Garden Pasta e Fagioli Soup on Monday night to cozy up with all week. 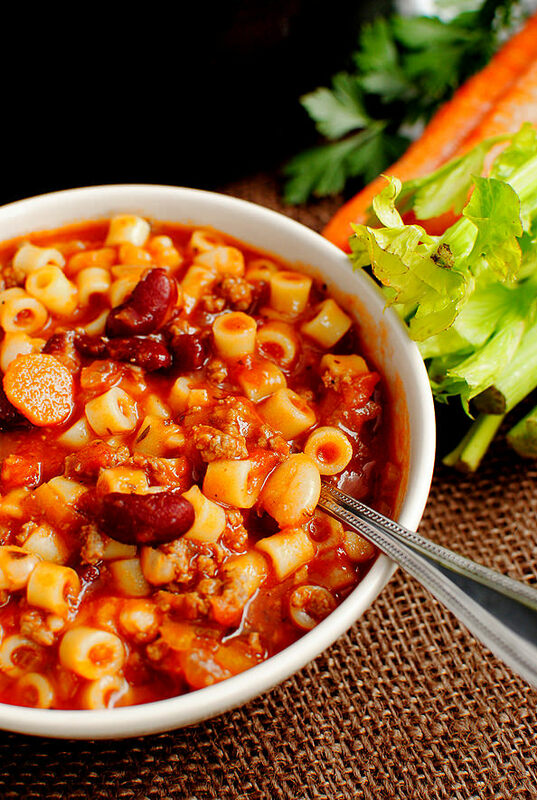 Pasta e Fagioli means “pasta and beans” in Italian, and the Olive Garden’s version is seriously delish. I know this because I used to pick Olive Garden for my birthday dinner spot every year growing up, and every year I’d devour this soup with unlimited salad and bread sticks (adventurous, no?) We stopped going after the year my Dad accidentally inhaled the juice from a pepperoncini in his unlimited salad and coughed for like, 45 minutes. Quite embarrassing. It was Caesar Salads at Cheddar’s for every birthday after that! 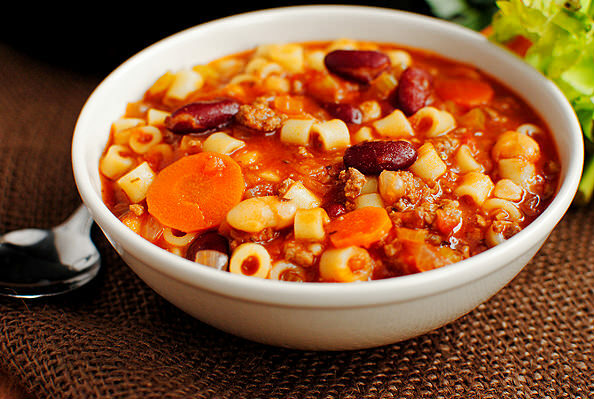 Anyway, this Pasta e Fagioli soup has a savory tomato-based broth with hearty veggies, ground beef, beans, and pasta. It tastes just like the OG’s, is comforting to the audible “mmmm“, and I’ve been eating it for lunch all week in hopes that it’ll help quiet my incessant sniffling and sneezing. We’ll beat this thing yet! Start the Pasta e Fagioli Soup by browning 1lb ground beef (I used 90/10) that’s been lightly seasoned with salt & pepper in a SOUPER large soup pot (get it? SOUP-er? Crickets.) Drain the beef, then return it to the pot. Next add 1 cup each chopped onion (about 1 small onion,) carrots (about 1 large carrot,) and celery (about 2 stalks,) along with 2 minced garlic cloves. 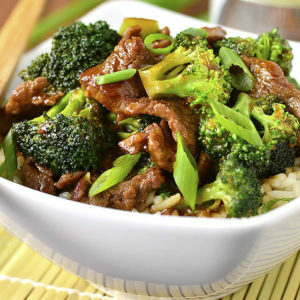 Season with a bit more salt & pepper, then cook the veggies with the cooked ground beef for 10 minutes to soften up a bit. 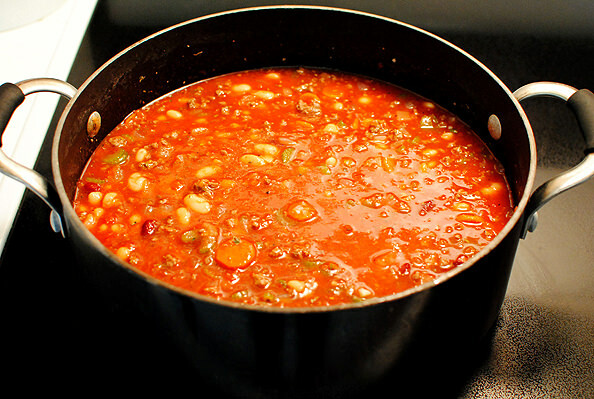 and 1-15oz can each of tomato sauce, kidney beans (undrained,) great northern beans (undrained,) and beef broth (unpictured.) Make sure your beans are packed in water, k? 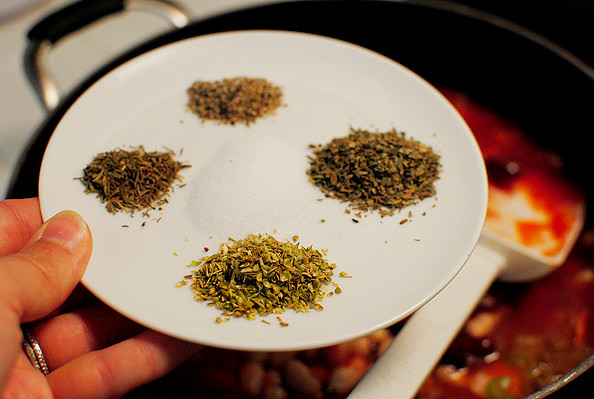 Finally, add yummy, hearty spices including salt, pepper, and dried thyme, basil, and oregano. Stir everything together then simmer for 1 hour, stirring occasionally. Oh, a parmesan cheese rind (like the one I used in this soup) would be FAB to add in at this point. I didn’t have any on hand this time though – rats! 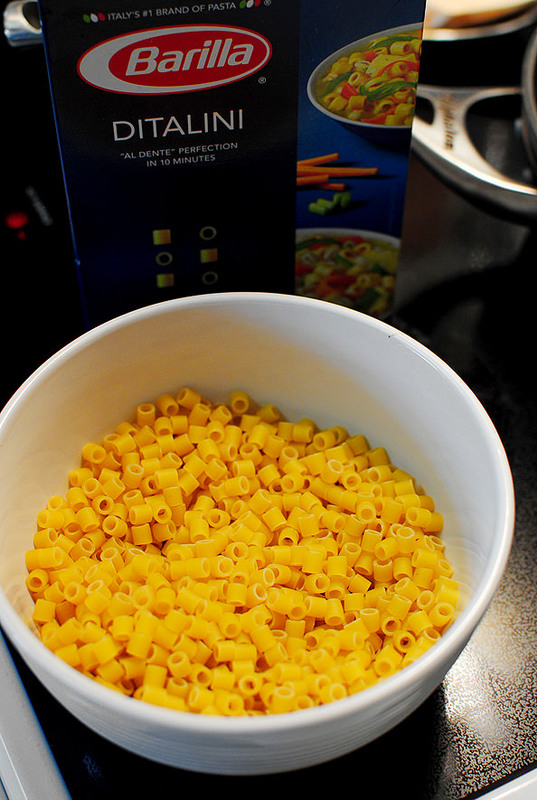 When the soup has 10 minutes left, cook up 8oz gluten-free or regular ditalini pasta (or any short cut pasta) in salted, boiling water. Drain the pasta, then stir it into the soup and simmer for 5 more minutes. 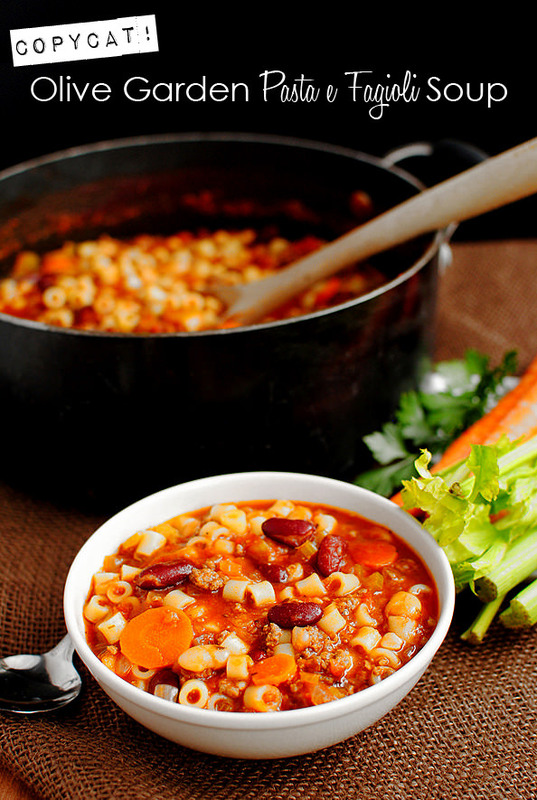 Copycat Olive Garden Pasta e Fagioli Soup is hearty, filling, and tastes just like Olive Garden's Pasta e Fagioli Soup. Easily made gluten-free, too! Brown ground beef in a large soup pot over medium-high heat until no longer pink, lightly seasoning with salt & pepper. Drain then return to the pot. Add onions, carrots, celery, and garlic, lightly season with salt & pepper, then saute for 10 minutes, stirring occasionally. Add the remaining ingredients, except for the pasta, then simmer for 1 hour stirring occasionally. When the soup has 10 minutes left to simmer, cook pasta in salted boiling water until just under al dente. Drain then add to the soup and simmer for 5-10 more minutes. Remove parmesan cheese rind, then serve. 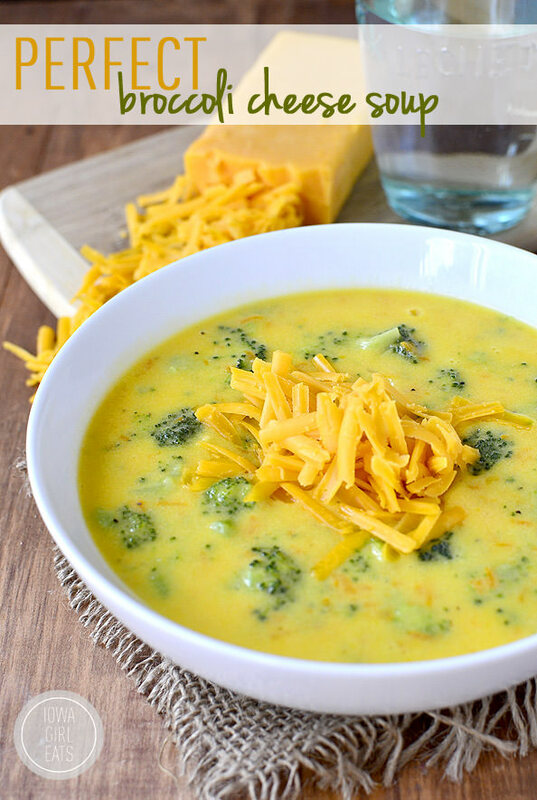 I was going to wait until October-ish to share this recipe with you, but our high today was only in the mid 60’s which made eating a bowl of this soup wrapped up in a blanket with a cool breeze coming in through the windows feel awesome – head-cold or not. Thinking some of you may feel the same way. FYI – the soup will thicken up as it cools, so buy some extra beef broth to add in when reheating. It’ll be just as delicious. 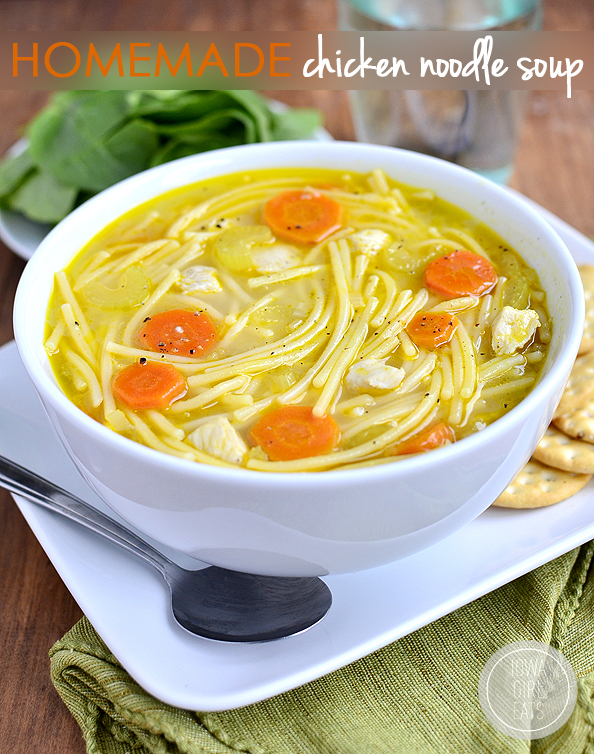 More Comforting Soup Recipes You’ll Love! I am so excited to see this recipe! Just the other day I was wishing for this soup, but sadly there aren’t any Olive Garden’s in my area. Perfect timing, thanks :) Get well soon! Love olive garden’s salad and breadsticks! 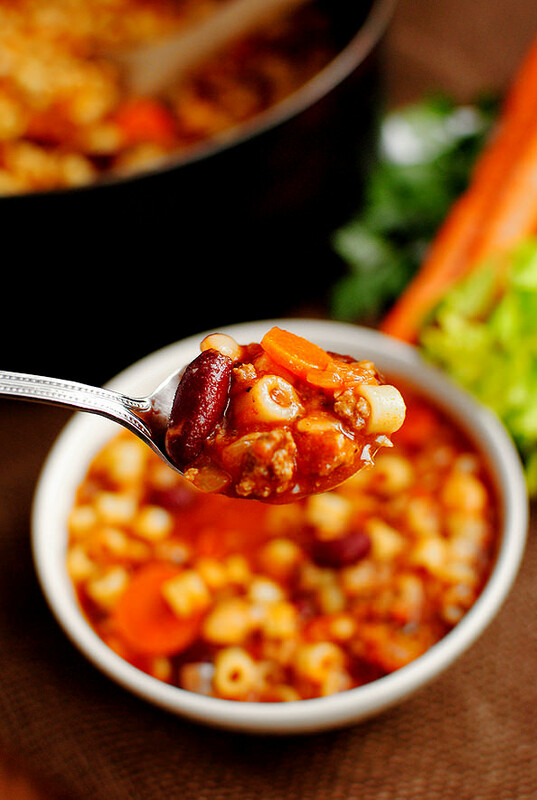 This soup definitely has me craving soups and chili. Time to break out the crockpot. Pinned it! I love Olive Garden’s soup. Once it cools down more here, I am making this delicious recipe. Hope you feel better soon! I enjoy your wonderful postings every day. You are so amazing!!! I have been dreaming for the day where I could find a legitimate recipe for the longest time. I made a big pot of Chicken Tortilla Soup tonight! The weather just called for it. It’s supposed to be a gorgeous weekend, though! This looks so good! I love making a big pot of soup on Sundays to take for lunch all week. Can’t wait to try this–thanks! This soup looks delicious, and I just want to let you know that you’re my hero for making food while sick. When I have a cold, it’s pretty much only microwave mac and cheese for me! I just made a copycat recipe of their chicken and gnocchi soup. It was great and now I’ll have to make this! 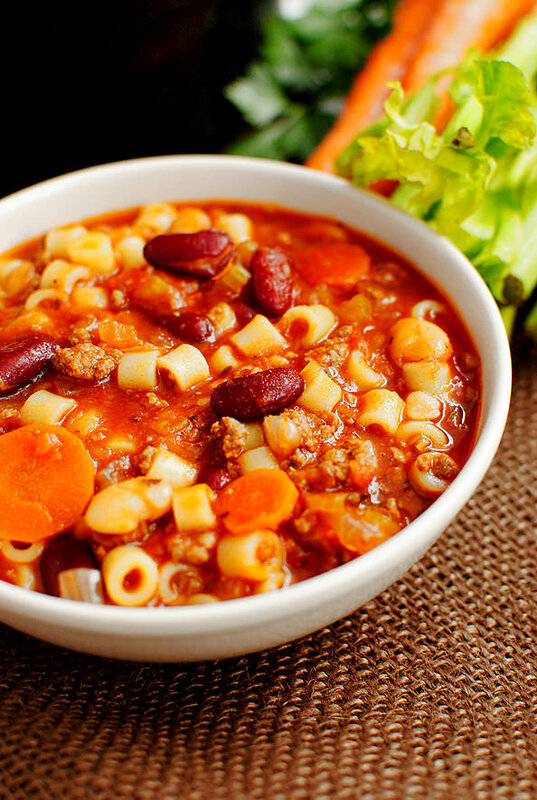 Pasta e Fagioli is my favorite soup at OG and I get it every time! Also, I used to love Cheddar’s when I lived at home. I don’t have any around where i live now and most people haven’t even heard of it! I used to always get their chicken fingers and a virgin strawberry daquiri when I was younger. Delish! FYI for future reference, the skeevy liquid in the beans is actually good for you. This is where all of the starch from the beans are. 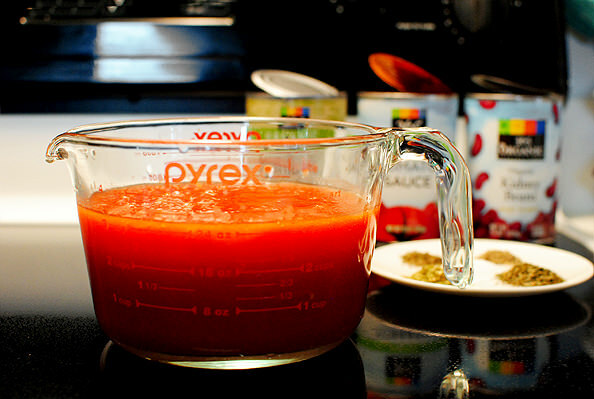 If you include this starchy liquid, it acts as a thickening agent to any soup. Whilst I don’t doubt it’s good for you, if you have a sensitive disposition with beans (i.e, they give you wind!) It’s better to drain and rinse them. It helps reduce the gassy effect! Mine’s not an fabulous Napa trip hangover, but I too have a nasty cold. Yesterday’s chilly, wet weather + my feeling awful had me in the kitchen baking cookies & making chili. I’m not ready to say goodbye to summer yet but boyyyy was it awesome smelling and warm in our house! It’s only 70 here in San Antonio….which feels really fall like :) I’m glad you shared the recipe – I’m cooking it tonight!!! I’m usually not into super tomatoey soups, but this looks sooooooo good! Whenever we go to OG I always get the Pasta e Fagioli, salad and breadsticks!! 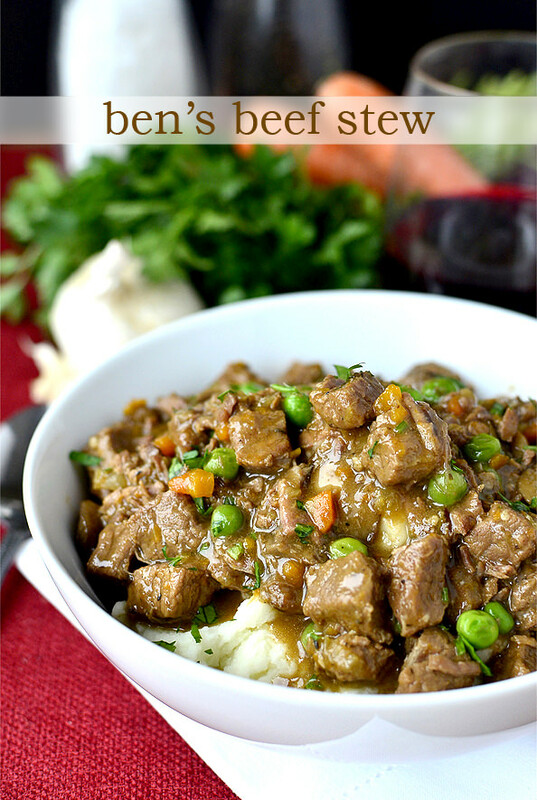 This weekend I’m making beef barley, but this will definitely be one for next weekend. There is a girl at work that has had that same head cold all week and I’ve been praying that I don’t get it. Hope you feel better soon. 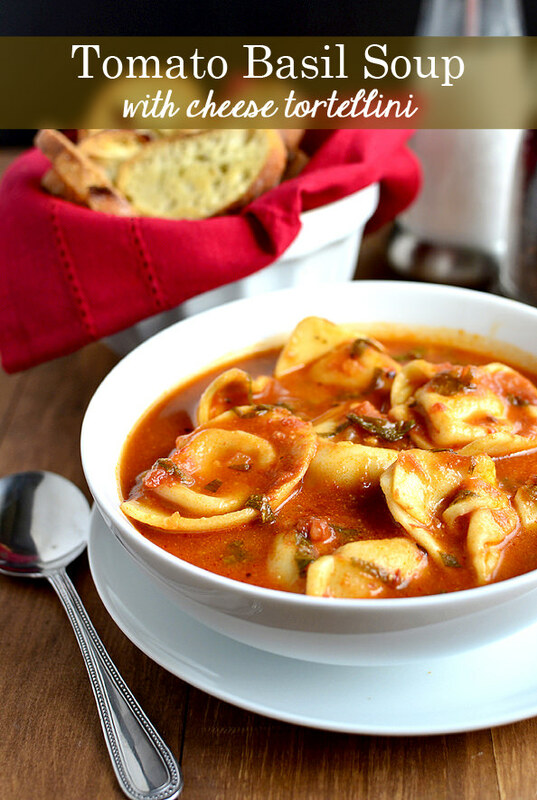 I adore this soup and now you’ve got me craving some! This actually would be pretty easy to make in college. So I was wondering, why use tomato sauce and not just more crushed tomatoes? And what exactly is tomato sauce? 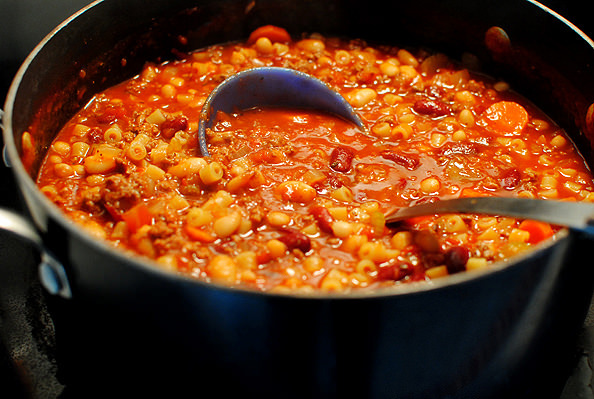 I read over and over your Pasta e fagioli and I had to make a comment…although it look very hearty there is no meat in the original Pasta e fagioli if you prefer the only meat there would be is cotica which I don’t what it is in english. It’s me again the Cotica that I mentioned above is like “pancietta” or “guanciale” which are both from pork but never meat as beef. Yum! I have a gazillion cherry tomatoes out in the garden that are going in this soup tomorrow. Made it tonight. So good! I did use ground beef, but I also added some italian sausage. I also used fresh basil since I still had some in the garden. I will definitely make this again. Thanks! 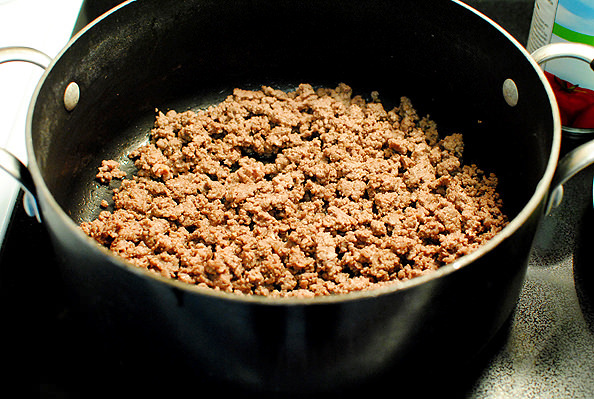 brown ground beef, add all cans undrained. I made this tonight and it turned out great! I made just a couple substitutions including using textured vegetable protein instead of ground beef (I’m trying to eat less meat), added a box of frozen spinach just to sneak in some more vegetables, and thinned the soup a bit with some of the pasta water. I will definitely be making this again. Thanks, Kristin! 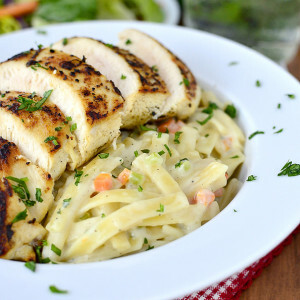 We made this last night and it was amazing–Such strong and solid flavor! Holy cow! Plus I love that we had enough to free half for later. Only modification was we cut back on the salt a bit. just made my 1st pot of pasta fagioli. About to dig in on this rainy day in S. Florida. AMAZING soup! My hubs was totally impressed that I made this tonight. I told him it was another IGE recipe – winner! This will be in our permanent rotation this winter. So great to hear! FYI – leftovers are even better! Hey Syifani! Here’s an article about cooking dried beans: http://whatscookingamerica.net/Vegetables/driedbeantip.htm and one for peeling fresh tomatoes: http://www.foodnetwork.com/recipes-and-cooking/how-to-peel-tomatoes/index.html (which I would then pulse in a food processor or chop fine. I hope you feel better! Here’s some info about cooking fresh kidney beans: http://thehousingforum.com/how-to-cook-kidney-beans/ Also you could use Cannellini beans instead of Northern! I made this last night and it was so good! 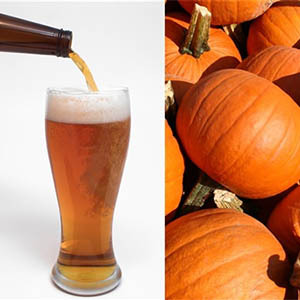 Perfect cold weather food. LOVE your blog and recipes!!! This recipe is now a tope ten for my family! Yum yum yum. I have been wanting to try this soup at home since my hubby and I had it at a little Mom & Pop pizza place in North Carlonia so I came across your blog when I googled Pasta e Fagioli. 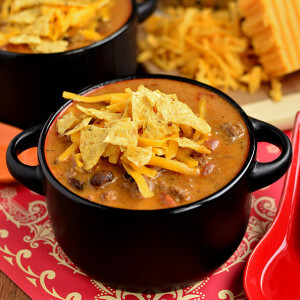 Made it today, but used my trusty crock pot cause I wasn’t sure how late I’d be working….I loved it my hubby loved it and my 14 yr old stepson couldn’t get enough. Love your blog and looking foward to following you. This was delicious! Thank you so much for posting this. This was awesome! Made it tonight, had some for dinner and now my hubby has lunch for a couple days…makes a lot! So easy to make and soooo good. Only thing I changed was doubled the garlic and didn’t put in a parm ring. I will try it next time with half italian sausage for the meat like someone suggested. Thanks for the recipe! 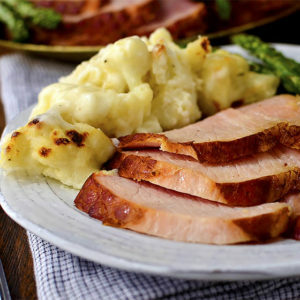 Loved this recipe and so did the whole family. Tastes just like OG. Thanks for sharing! My husband loves this type of soup!! !Thanks for the recipe!